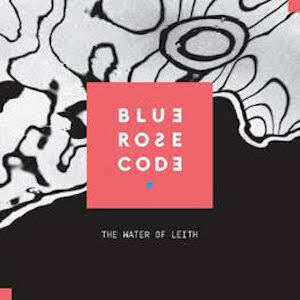 Blue rose code is also known as Ross Wilson, a Scottish singer-songwriter. He's released several albums that have gone down well with fans and critics, but in some ways this album marks a new beginning as it's not only his first since signing to Navigator records, more importantly it's the first record in recovery from a history of alcoholism and addiction. On this album he's worked with a number of musicians - multi-award winning singer Julie Fowlis, Gaelic singer Kathleen MacInnes, BBC folk award winner Ross Ainslie and many more. In general when you see someone described as a singer-songwriter it means the album will be them playing acoustic guitar and singing, so that's what I was expecting from this album, but this isn't a typical singer songwriter album - this is done on a much bigger scale as he's got other musicians involved, not just to add the occasional bit of atmosphere but as an integral part of the album's sound. You've got piano, violin, brass instruments and more and so there's a nice rich atmospheric sound that at times is hauntingly beautiful. The vocals too are great. It's a beuatiful album - the music really is excellent and the songs well written. I'm not Folk really describes it, but singer-songwriter doesn't do it justice either - it's one of those albums that doesnt really fit neatly into any genre but that's certainly no bad thing - it means that Ross Wilson was free to write the music he wanted without having to conform to any genre rules. "The water of Leith" is out now on Navigator records.